Roughly mash avocado with fork in shallow bowl. Stir in remaining ingredients and sprinkle with chives. Serve immediately. 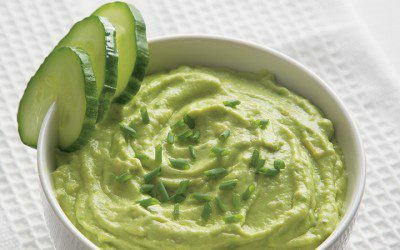 Tip: This dip is great with raw veggies, such as cucumber slices, celery sticks, or red bell pepper strips.